When the Yankees open the ALDS later tonight, they’ll face Red Sox ace Chris Sale, who is inarguably one of the top pitchers in baseball. 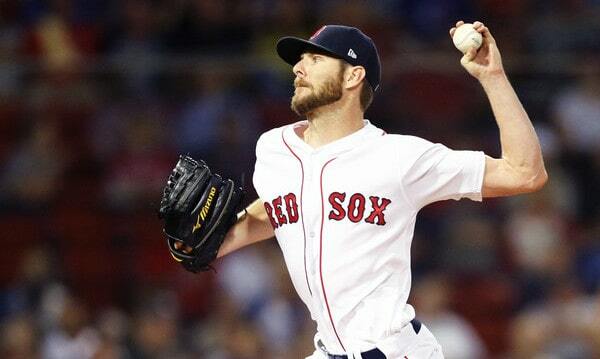 Sale threw 158 innings with a 2.11 ERA (1.98 FIP) and 237 strikeouts this season. He was so good he might win the AL Cy Young even while falling four innings short of qualifying for the ERA title. He was that dominant on a rate basis. And yet, when the ALDS begins tonight, Sale will be something of an unknown for the Red Sox. Are they getting the dominant Cy Young caliber starter? Or are they getting something less than that? Shoulder inflammation sent Sale to the disabled list twice in the second half, and, while some conspiracy theorists believe the Red Sox were simply giving him rest down the stretch with a big division lead, that sure doesn’t seem to be the case. Sale’s four-seamer averaged 90.2 mph in his final regular season start last week. That’s his lowest average fastball velocity in any game in his big league career. In fact, last time out the Statcast algorithm classified a bunch of fastballs as changeups, and that’s never a good sign. There is a clear downward trend in that graph. Furthermore, as Ben Lindbergh notes, Sale’s extension has been down as well, meaning he hasn’t been releasing the ball as close to the plate as usual. Less extension and less velocity means hitters have that much more time to react. In his final regular season start, Sale allowed three runs and needed 92 pitches to get through 4.2 innings against the post-Manny Machado Orioles. Eek. Sale last started last Wednesday. He’s going into tonight’s game on eight days rest and that is completely by design. The Red Sox lined him up in such a way that he would not only get extra rest before ALDS Game One, but also enough time to throw two bullpen sessions between starts to work on things, rather than the usual one. Here, via Lindbergh’s post, is a great clip of Sale from his final regular season start. This doesn’t look like the usual Chris Sale. That explosiveness in his delivery isn’t there. This is almost a get-me-over lob. Was Sale holding back to protect his shoulder in a meaningless regular season start following two bouts of inflammation? Or are his mechanics that out of whack? Would it really surprise anyone if the regular explosive Chris Sale showed up on the mound tonight throwing 97-99 mph? I don’t think so. The fact of the matter is that Chris Sale, the explosive guy who is in the running for the Cy Young every year, hasn’t been on an MLB mound since July. Shoulder woes sabotaged his August and September, and the fact his velocity has been trending down rather than up as he regains arm strength is a red flag. It is entirely possible he was playing possum and holding back. Still, if I were a Red Sox fan, I would’ve liked to have seen regular Chris Sale on the mound at some point. It didn’t happen. 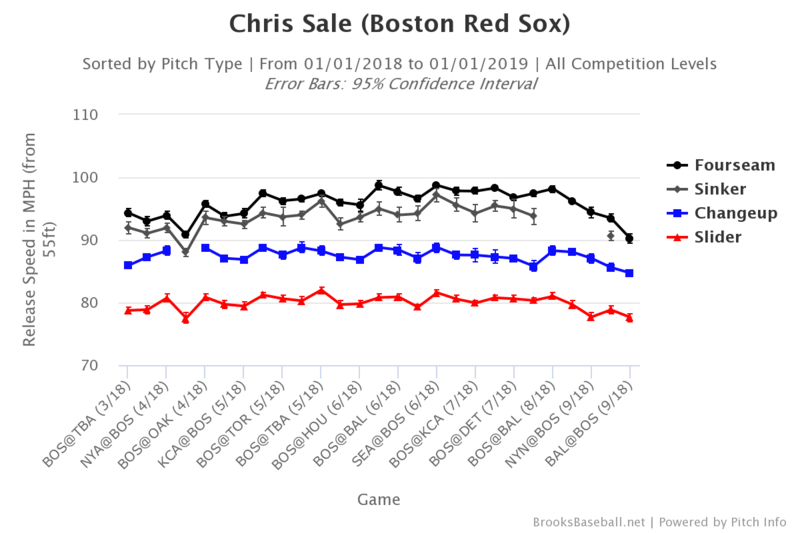 Sale has a history of wearing down and losing effectiveness late in the season and it’s possible that now, at age 29 with nearly 1,500 big league innings on his arm, his durability issues are showing up as something more than simple fatigue. This year he dealt with shoulder inflammation that was bad enough to require 35 total days on the disabled list, plus his fastball is missing and his extension is reduced. Hmmm. I don’t know which Chris Sale will show up tonight. It could be the Cy Young caliber Chris Sale or it could be the diminished September version of Chris Sale. Neither would surprise me. I do know this much: If Sale is not his normal self, that is advantage Yankees. Sale is still good enough to win at 90-92 mph rather than 97-99 mph, sure, but man, this guy without his usual fastball (and extension) is a much different animal. On Thursday, the Yankees get their first crack at Boston Red Sox ace Chris Sale. However, there’s a fair amount of familiarity between Sale and the Yankees. If you’re not familiar with the numbers, they’re gaudy, to say the least. In 53 1/3 innings against the Yankees, Sale has surrendered just 32 hits, 12 walks and 4 HBPs while striking out 61 batters and allowing just 13 runs (seven earned). That’s good for a 1.17 ERA and a WHIP of .820. Sale has the lowest ERA of any pitcher in MLB history with at least 50 innings against the Yankees (h/t to Katie). Unfortunately for the Yankees and their fans, Sale is going to be tacking on a lot more innings to that total over the next three years. With team options, the Red Sox have Sale under contract through 2019 and there’s nothing saying they couldn’t bring him back on a longer contract when that’s up. We’re talking about a pitcher with five All-Star appearances in the five seasons he’s been a starter, and he hasn’t finished lower than sixth in the Cy Young voting. That’s a keeper. 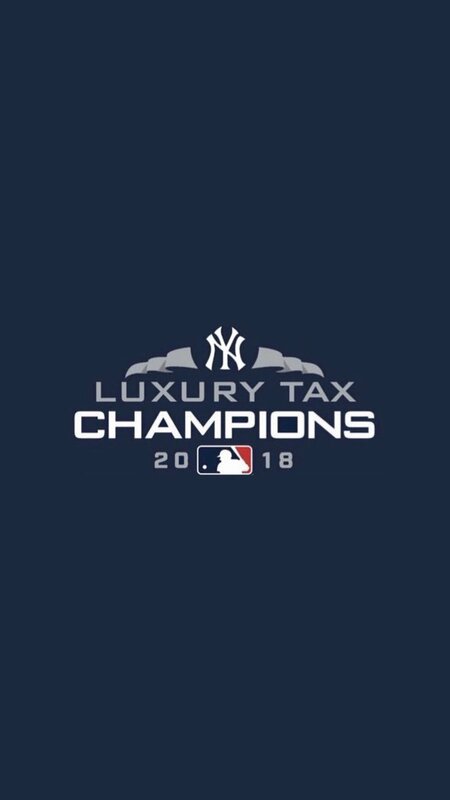 So what does this mean for the Yankees? What can the Bombers do to counteract the way-too-early favorite for AL Cy Young? Here are a few things to know about facing Sale. 1. Lefties are practically useless against him: Sale is a beast but especially vs. lefties. He’s given up 114 home runs in his career and just eight were hit by left-handed batters. While RHBs have a .228/.283/.370 line against him, lefties are far worse at .202/.258/.268. No power and no average. In his seven starts against the Yankees, Sale has faced few lefties. The Yankees started three against him in 2012 and in the six starts since, haven’t started more than two. Typically, it’s been the lefties you don’t take out of the lineup, the Robinson Canos of the world. You have to try and load up on the platoon advantage to neutralize Sale because his size and motion are so difficult to pick up for a LHB. This is why you acquire Chris Carter and Matt Holliday. Not just for Sale of course. For any tough lefty. Sale, David Price, etc. Having a veteran with some savvy in the middle of the order can counteract Sale … as much as you truly can counteract Sale. When Sale took the mound vs. NYY last May, it led to a distinctive lineup with Aaron Hicks leading off, Brett Gardner batting seventh and no Jacoby Ellsbury. Sale threw a complete game, but the point still stands. Maximize your potential by platooning like crazy. You may see a lineup that goes something like this. You have to sit one of Gardner or Ellsbury for Hicks here and moving the one lefty outfielder down the card makes sense, too. Last season’s lineup shows Joe Girardi is willing to do just that. He’s done some interesting things like put Yangervis Solarte in the five-hole as well. The lineups this season with Ellsbury batting fourth and so on have looked pretty peculiar, so Thursday’s lineup may just blend in. 2. Headley is key to hitting Sale: Headley has been much maligned at times during his stint in pinstripes, but boy can he hit Sale. He has the third highest OPS off Sale of any batter with at least 10 plate appearances. In 14 PAs vs. the 6-foot-5 southpaw, Headley is 5-for-13 with two home runs, a double and a walk. Sale even helped Headley get back to being himself last season. After a horrible April and early May, Headley got his second extra-base hit of 2016 off Sale with this home run. Your browser does not support iframes. Girardi has put Headley near the top of the lineup card with Sale on the mound, both in 2015 and 2016. His first homer off Sale came back in 2014 during an interleague series between the White Sox and Padres. The point being, Headley is really important here. I’m not sure I expected to be saying that, but here we are. Headley has similar numbers off the person I would say is Sale’s most logical current comparable, Madison Bumgarner. He has three home runs and 10 hits in 36 at-bats off Mad Bum. Go figure. Only three other Yankees have multiple hits off Sale: Carter, Castro and Hicks. Hicks is 4-for-12 with a double, Carter is 2-for-13 with a double and a homer, and Castro is 2-for-11. Unsurprisingly, Carter has struck out seven times vs. Sale. Ellsbury and Gardner are a combined 1-for-16 with two walks, a hit-by-pitch and nine strikeouts. Welp. 3. Time for the Baby Bombers: I’m unsure if the Yankees were trying to be cruel last May, but they had Gary Sanchez make his first MLB start as the DH facing Sale. You will no doubt be shocked to learn he went 0-for-4 with a strikeout. However, this is where having a few young, dynamic, right-handed bats comes in handy. Sanchez may be hurt right now, but he’ll get more opportunities off Sale during the next few seasons. Sanchez, Judge and even Clint Frazier or Gleyber Torres can give the Yankees an element few teams have vs. Sale: An all-righty top of the lineup that can withstand him. They’ll surely have some troubles off him like Sanchez last May, but they’re NYY’s best shot. These guys will get plenty familiar with Sale over the next few years. As for Greg Bird, it makes sense to bench him for Carter in terms of trying to win that day’s game. However, starting Bird vs. Sale would be interesting for the long-term. Giving him some at-bats against him now could give Bird a chance against him in future meetings, plus Bird has hit lefties well in his early MLB career. 4. If he wasn’t on the Red Sox/facing the Yankees, Sale would be a lot of fun to watch: Sale’s mesmerizing. His herky-jerky motion is not something you’d teach any kid and that may be part of what makes it so effective. It’s different and it’s been nearly impossible to hit. He’s a consistent Cy Young contender for a reason and despite a motion many in baseball would label a concern, he’s remained pretty healthy, making at least 29 starts in four of the last five seasons. And he’s quite simply fun to watch. He strikes out guys with ease, averaging 227 strikeouts a year since he moved into the rotation. How many pitchers do you see make hitters look like this? Or make Sanchez look like this? The Yankees are going to have to contend with Sale for a while and we may as well enjoy the ride. Pedro Martinez had some dazzling performances against the Yankees in the late 90s/early 2000s and beating him was a joyous occasion. It’d be nice to have a pitcher-against-the-Yankees rivalry like that going again and Sale is a prime candidate to make that happen. And even when he inevitably adds a win or two to his record vs. the Bombers, you’ll still be able to see one of the best of this generation take the mound. There is one full day remaining in the 2016 Winter Meetings and so far the Yankees have done, well, not a whole lot. Things can come together pretty quickly though. Last year at this time we were all lamenting the lack of activity, then bam, the Starlin Castro and Justin Wilson trades went down. On Tuesday we learned the Yankees made contract offers to both Aroldis Chapman and Kenley Jansen, which is interesting. I’m kinda curious to see what happens if they both accept at the same time. We’ll again keep track of the day’s Yankees-related rumors right here, so check back often. All time stamps are Eastern Time.